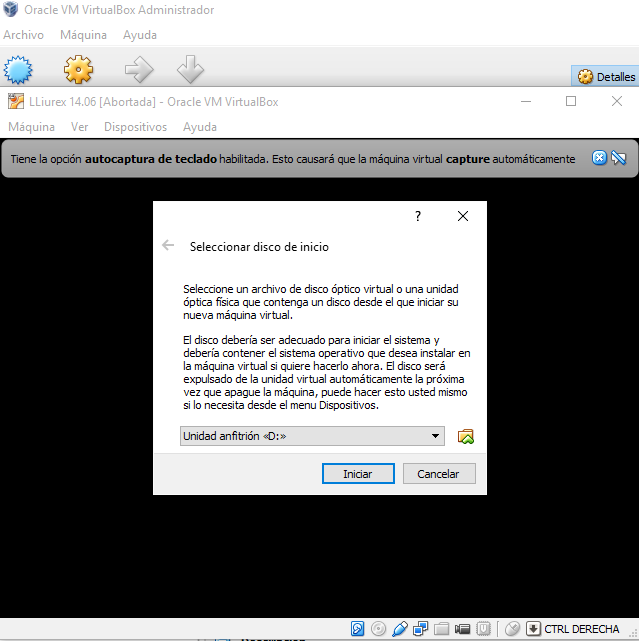 A Virtual Machine is a program which simulates a virtual computer on a real computer. (actually the correct verb to use in this context is "to emulate"). 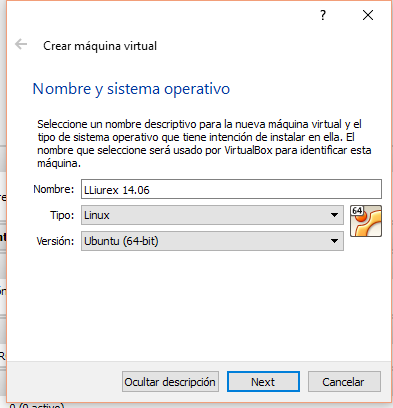 In this exercice we are going to create a virtual machine and we are going to install the operative system LLiurex 15.05 on it. In this way, in your real computer (the host computer) you will be able to run a fully functional "guest" virtual computer as the "admin" user. Keep in mind that you are a simple ·"user" with no administrative privileges in your real machine, and this means that Lliurex won't allow you to perform many actions we must practice in the classroom. 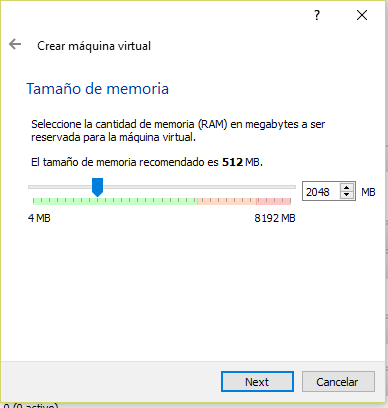 In the following picture you can see how a virtual machine looks like. It is a LLiurex running on a host computer window. 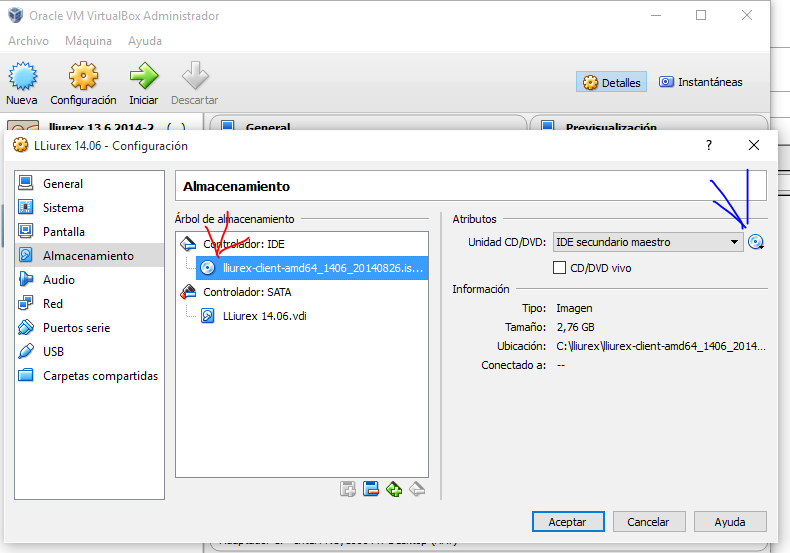 Use the file browser Nautilus (menu Lugares->carpeta personal) to check out if there is a file called lliurex-escriptori_amd64_1505_latest.iso inside the /publica folder. 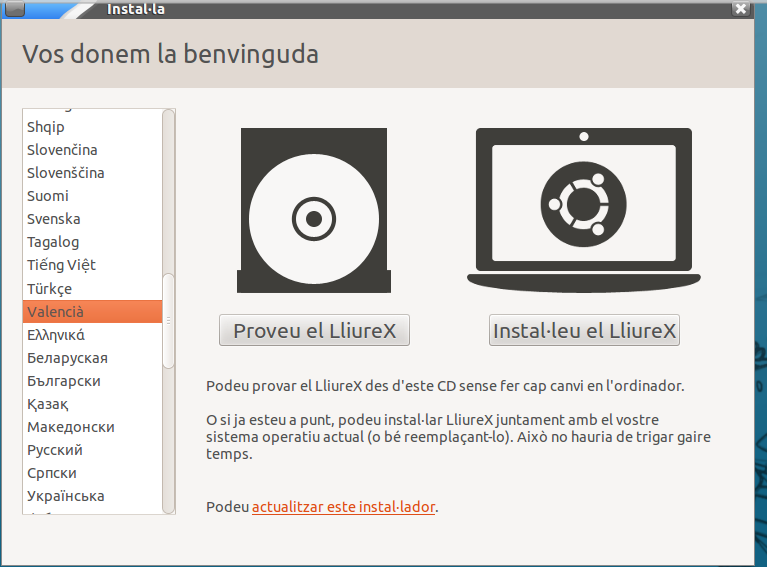 This is the ISO LLiurex 15.05 install file, in it's desktop version. 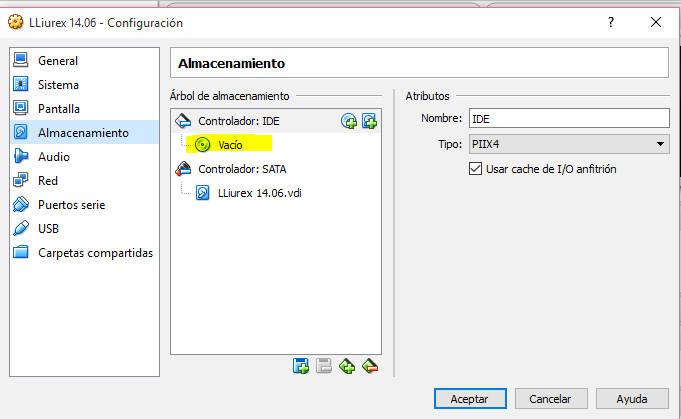 Run Oracle Virtual box, selecting the menu Aplicaciones->Administración LLiurex->Oracle VirtualBox menu. 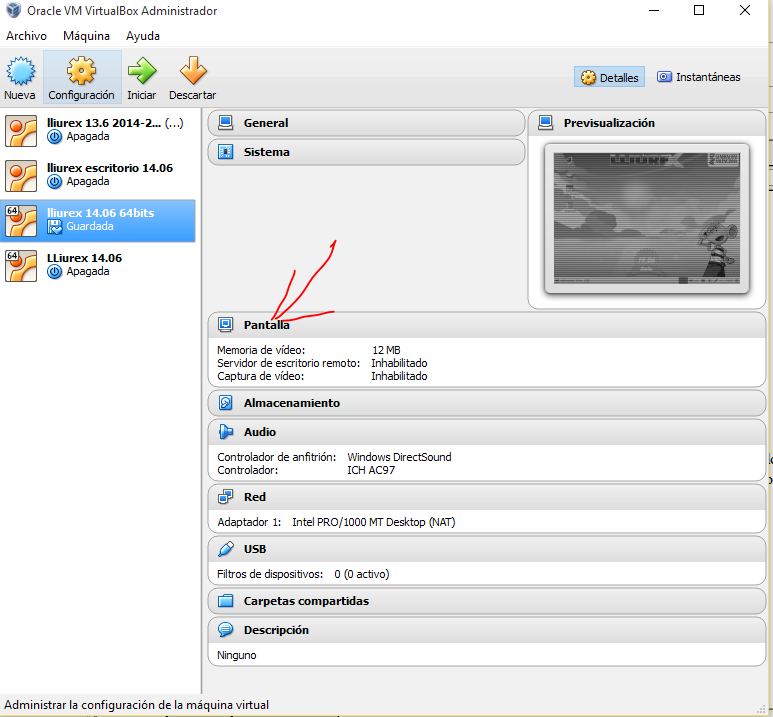 VirtualBox is the program we will use to create and manage our virtual machines. 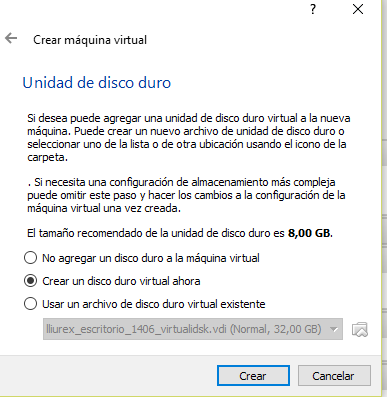 Finally, write a name for the vdi file, and set its maximum size to around 20gb, then clic on crear. 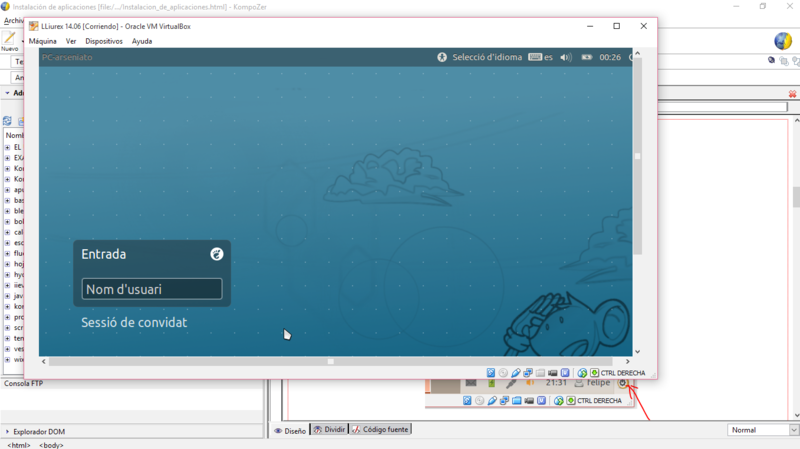 Select the VM (virtual machine) in the pannel on the left as shown in the picture. The right pannel will show a report of the different hardware components of your VM. 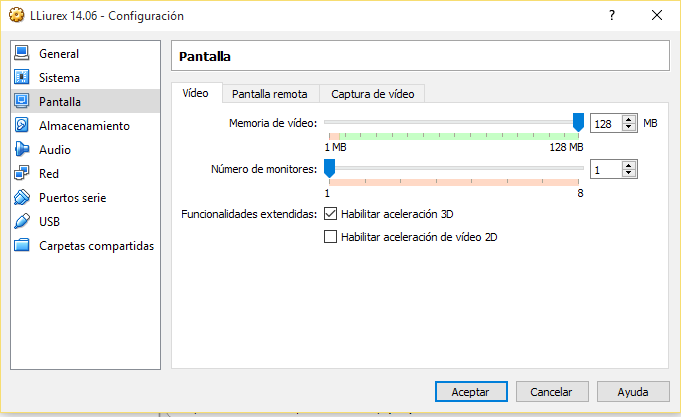 We are going to change the amount of memory in the host system reserved for video in the VM. 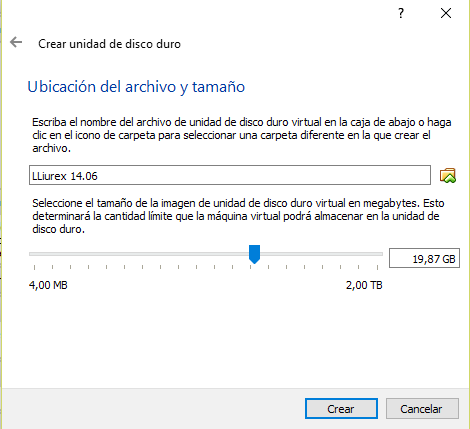 The default option is que en este momento es clearly insufficiente (just 12 Mb). 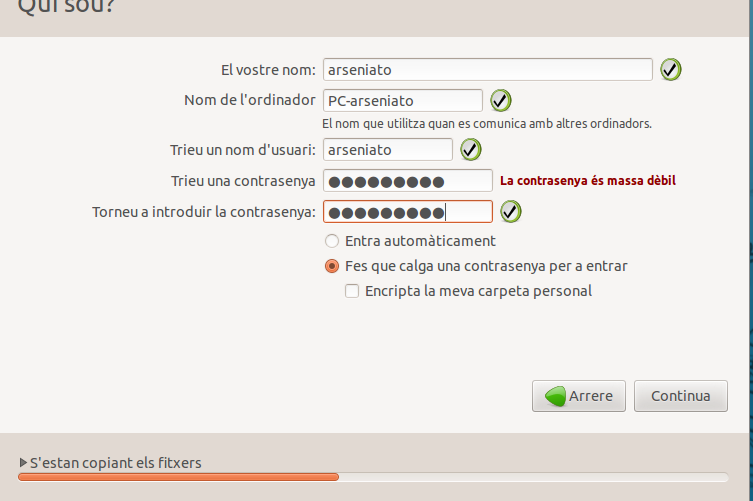 Make a doble click on the pantalla section. Our VM is useless, unless we install the operative system. If we turn it on (clicking on the button iniciar) it will show a message asking you to insert a boot DVD disk. Otherwise the computer won't boot (won't turn on). 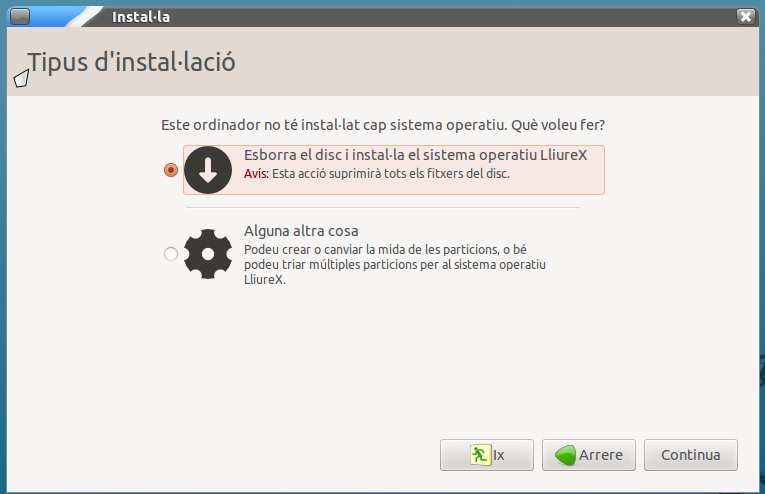 If we had the LLiurex install DVD we could install LLiurex now, but we don't have it. We have an ISO install file instead. 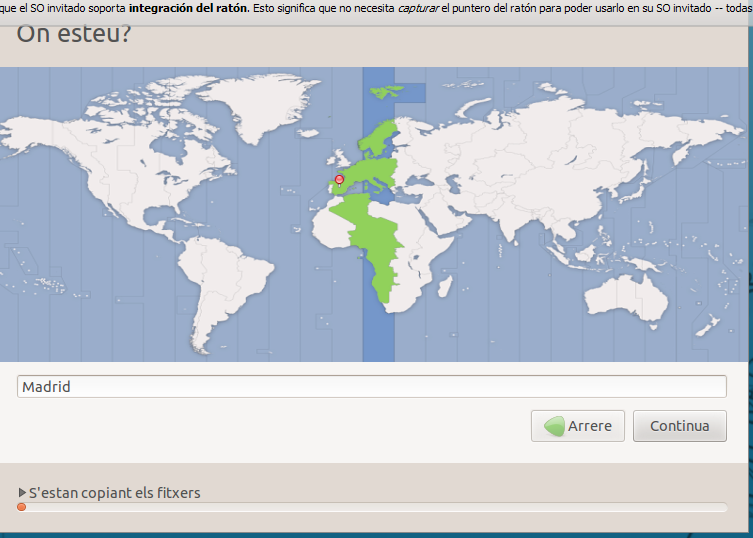 Select a language (spanish, english or Valencian) and click on the button instala lliurex. In the following screen enter your name, the computer name and the username of the admin username. Take a screen picture showing the VM running in a window in your desktop and upload it to moodle, tho the link Upload the screen capture of your Virtual Machine first boot.